Home/Recent Updates/Employee Spotlight: Meet Mike Mitchell Jr.
Mike Mitchell Jr., affectionately known as “Mitch” to his friends and colleagues, works as a Process Safety Representative for the Refinery’s United Steel Workers (USW) Local 675, which represents certain Operations and Maintenance employees at Torrance Refinery. Mitch and his family have a long history with the Torrance Refinery, as he is a fourth generation employee. Mitch’s father worked at the Refinery for more than thirty years, instilling a strong work ethic in his son, along with an early desire to work at the plant. His grandfather and an aunt also worked at the Refinery for a number of years. Mitch takes great pride in the fact that his grandfather was the second African-American hired at the Refinery in 1942, during World War II. To re-energize his career, Mitch started as an Operator at the Fluid Catalytic Cracking (FCC) Unit, a process unit that converts heavier oil into lighter, highly-valued products like gasoline. Over time, he successfully progressed to become the unit’s Head Operator. 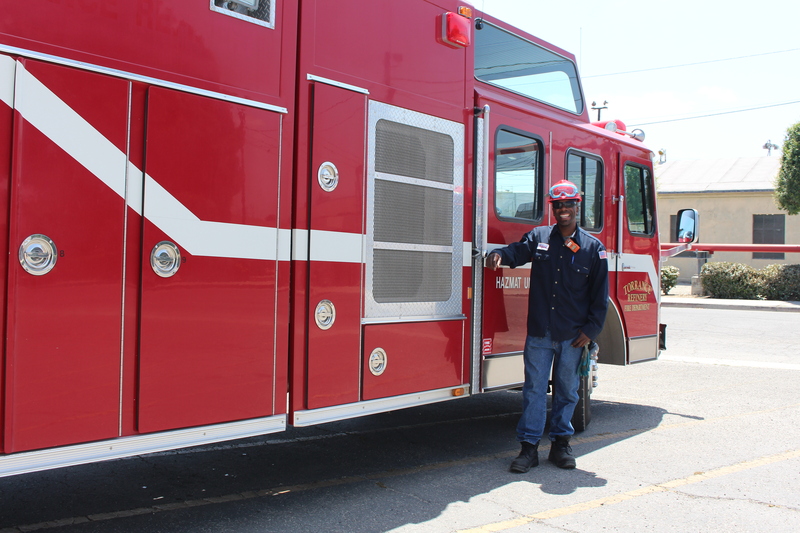 In addition to being Head Operator and USW Process Safety Representative, Mitch volunteers as a member of the Torrance Refinery Fire Brigade, trained in various aspects of industrial firefighting. He also participates in joint training with the Torrance Fire Department to maintain his emergency response preparedness skills and abilities.